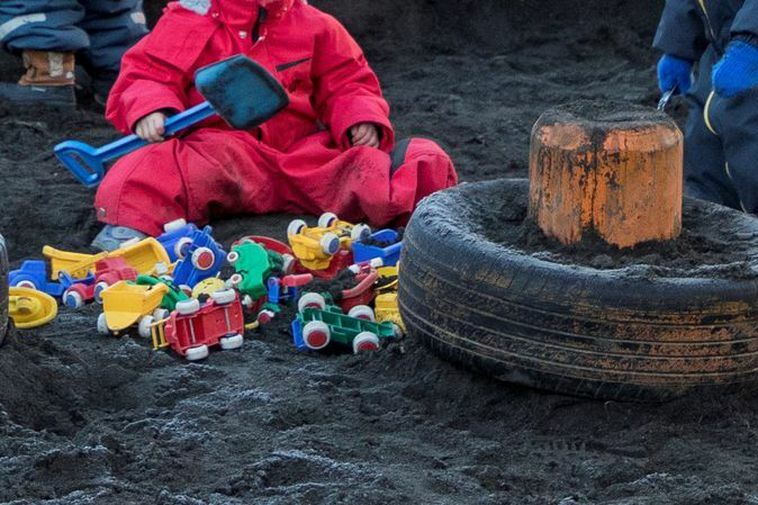 A five-year-old boy found a bag containing amphetamine in a playground at a Kópavogur playschool yesterday afternoon and consumed some of it. The boy underwent a thorough medical check at the Reykjavik Children's Hospital and is fine. His father Kristinn Ólafur Smárason spoke to mbl.is and confirmed that he is well. "He probably ingested such a small amount that they were able to wash most of it out. It hasn't had much of an effect on him, thankfully." Smárason received a phonecall from the playschool at 3.30 pm yesterday saying that the little boy had found a small plastic bag containing white powder and had tasted some of it. He thought it tasted very bad and brought it to a teacher saying he needed to rinse his mouth. "That's when the teacher realised what had happened, he was there with a bag of drugs." Employees of the Fagrabrekka playschool called police and the boy's parents and stressed that the boy seemed fine. "I still ran to the playschool." The parents took him to the National Children's Hospital where he underwent a thorough examination. Police confirmed that the drug in question was amphetamine. The father suspects that teenagers had gathered in the playschool grounds to take drugs. "It's really the last place that one wants to see this happen, at a playschool playground."